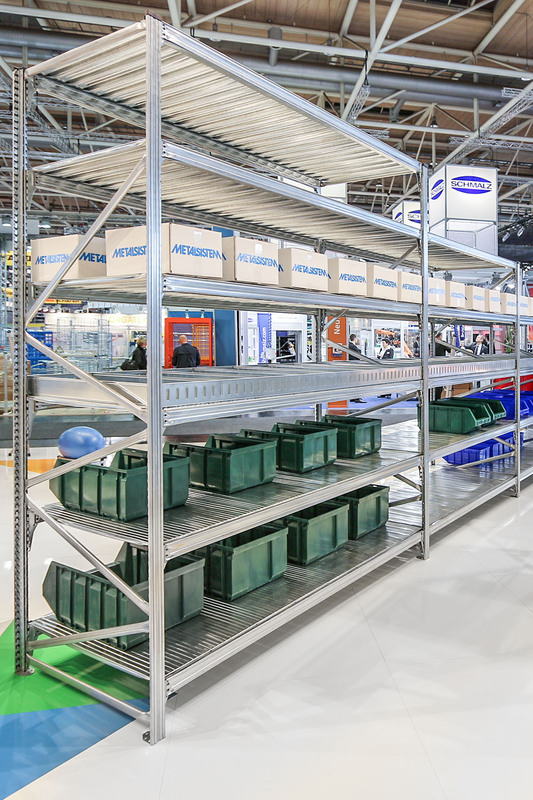 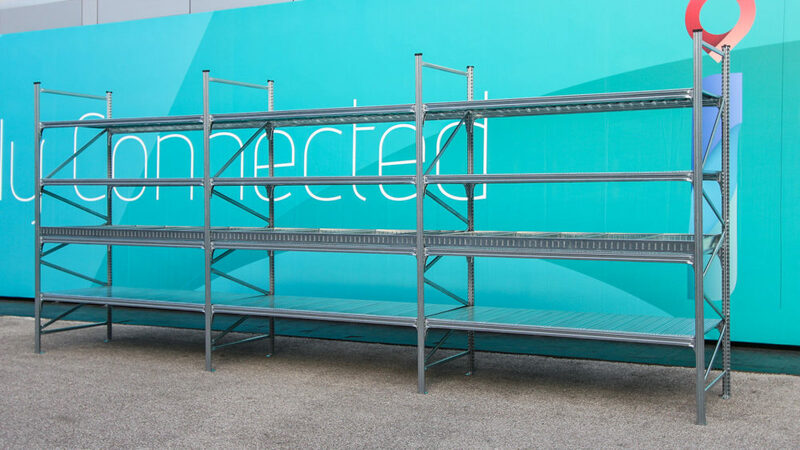 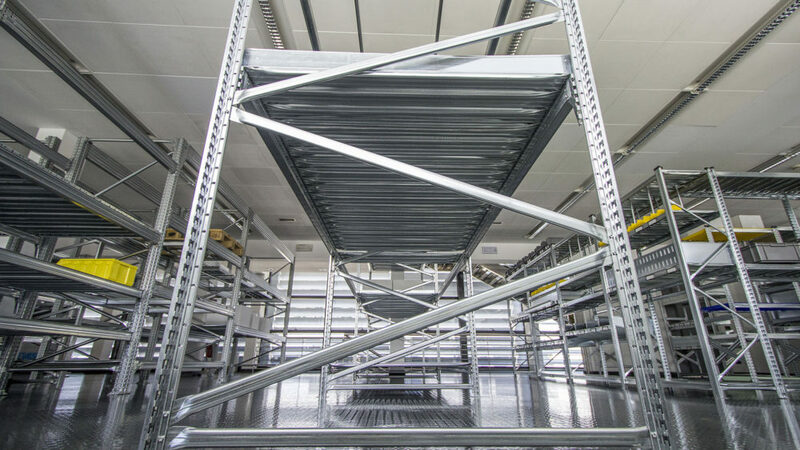 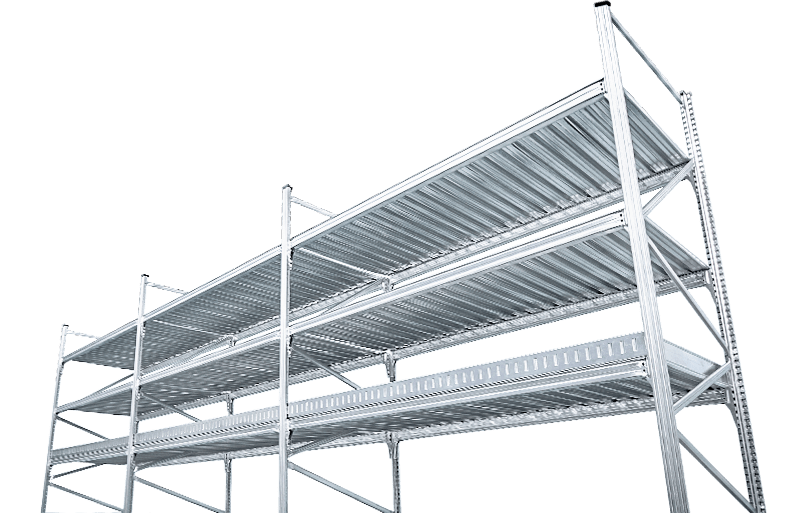 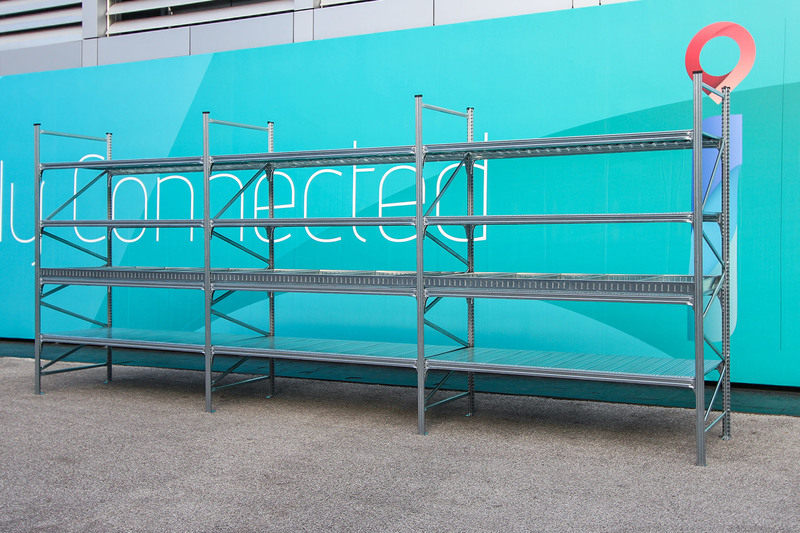 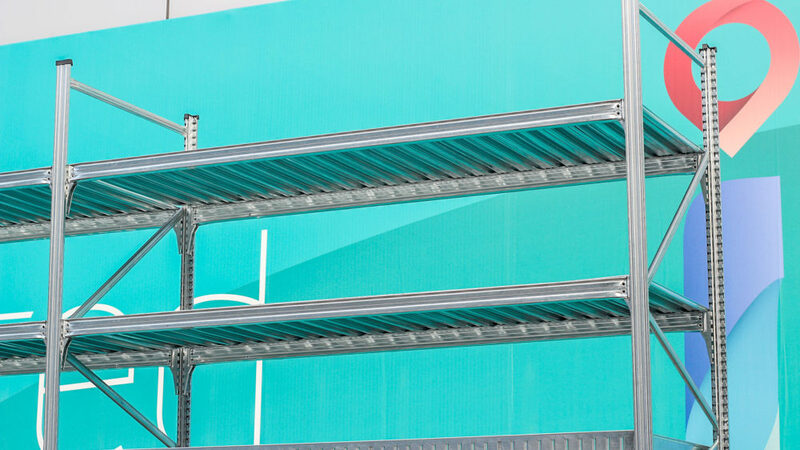 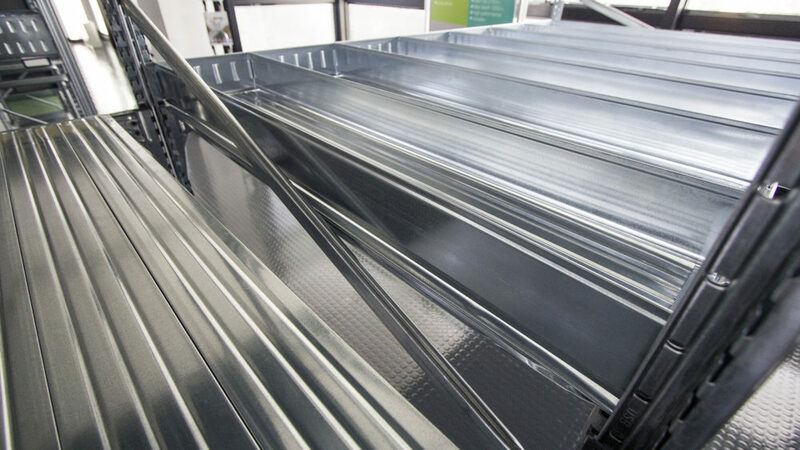 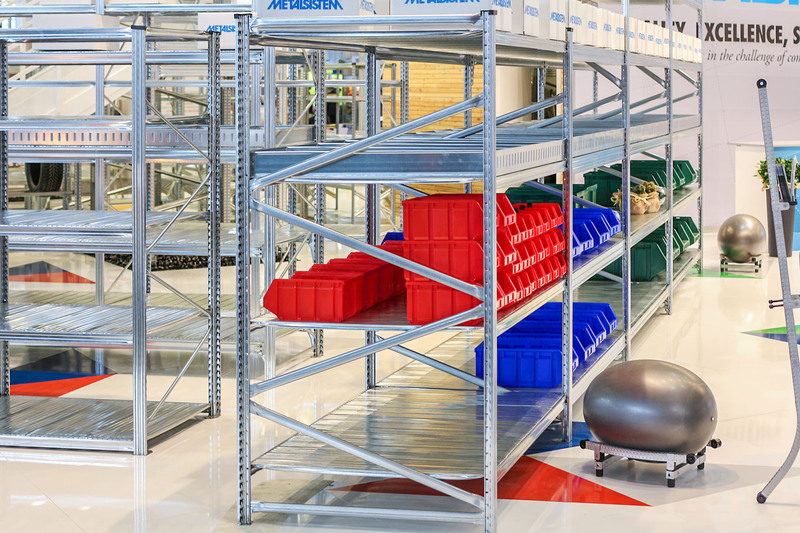 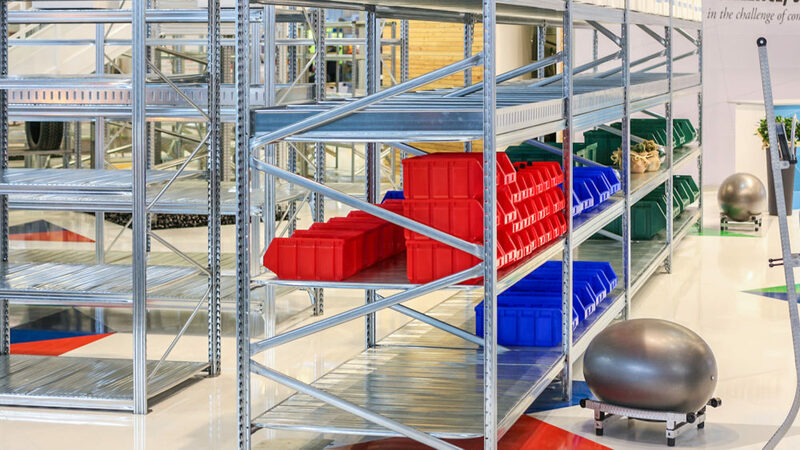 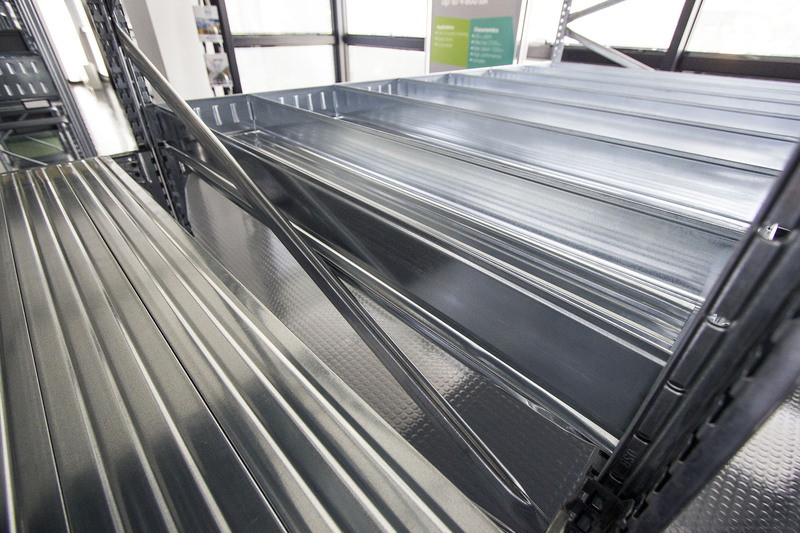 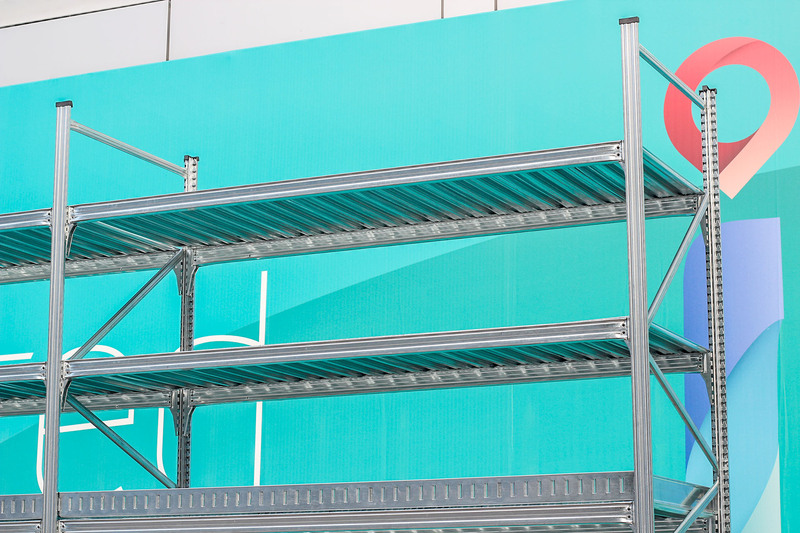 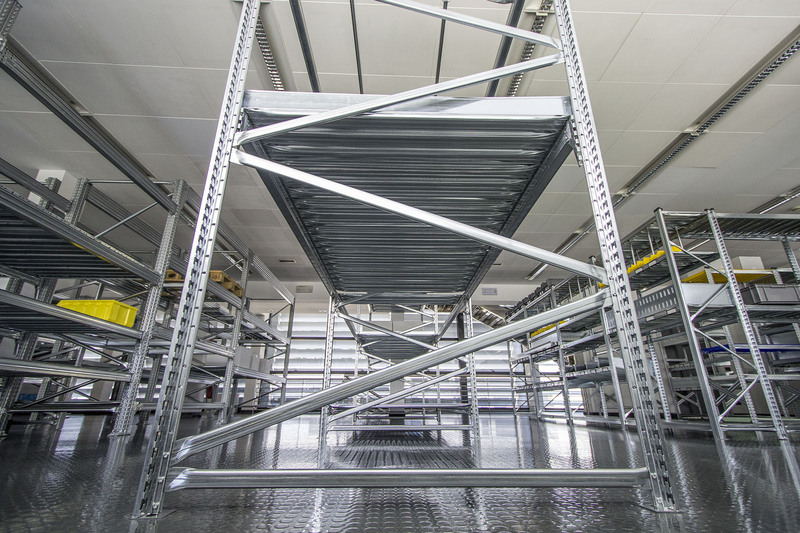 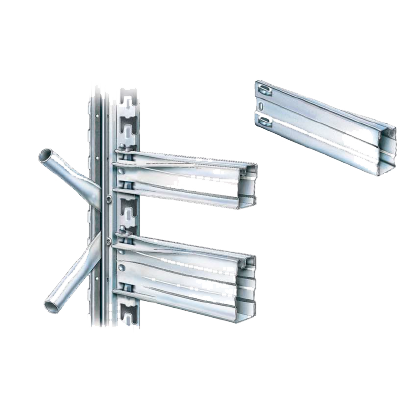 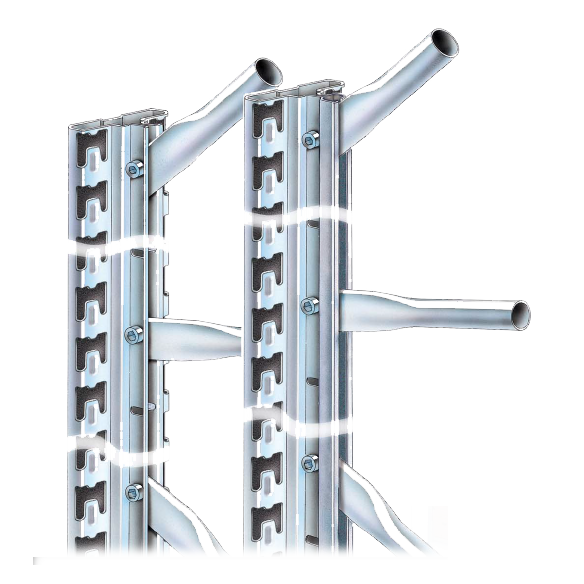 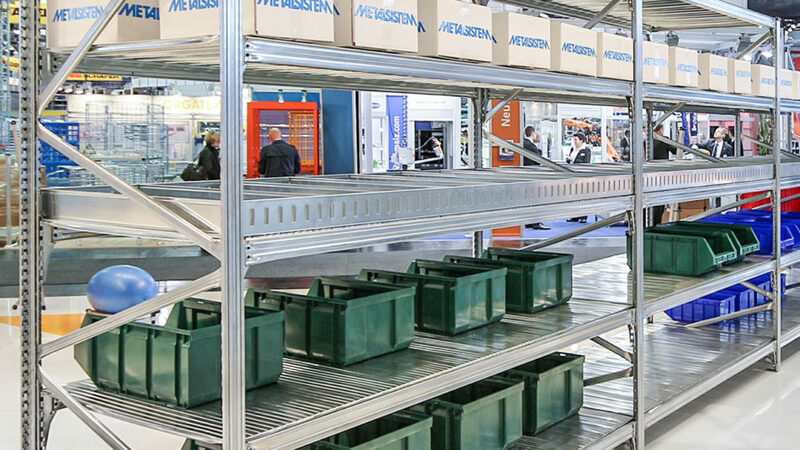 Unishelf can reach clear long bay spans with remarkable load bearing capacities. 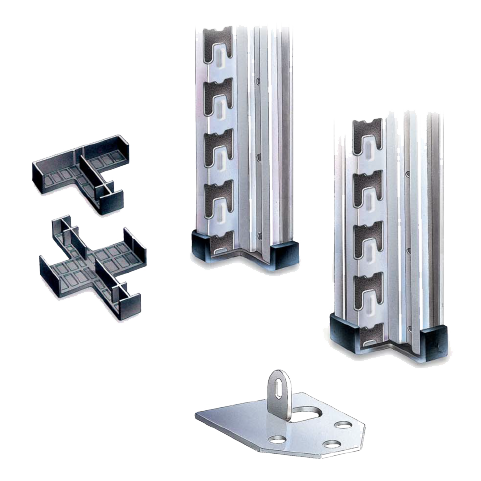 The Unishelf uprights are available in five versions of varying gauges. 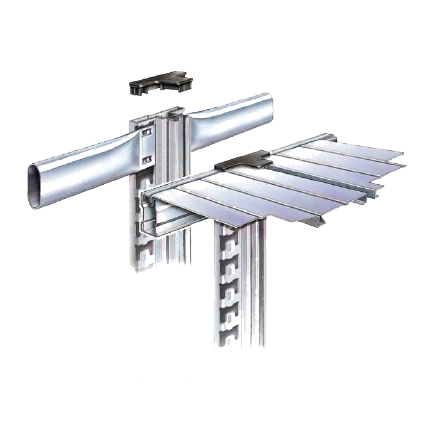 The uprights have a “T” shape containing two connection systems. 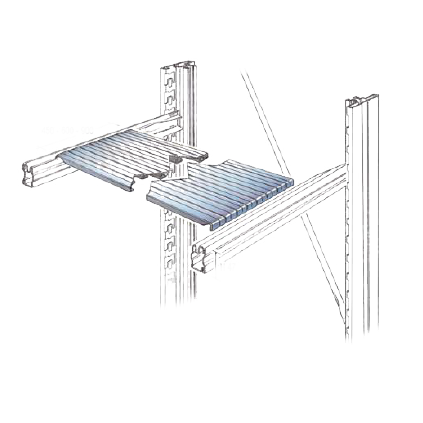 The first, on the back face, has connectors set at a pitch of 33mm, for the assembly of beams and accessories. 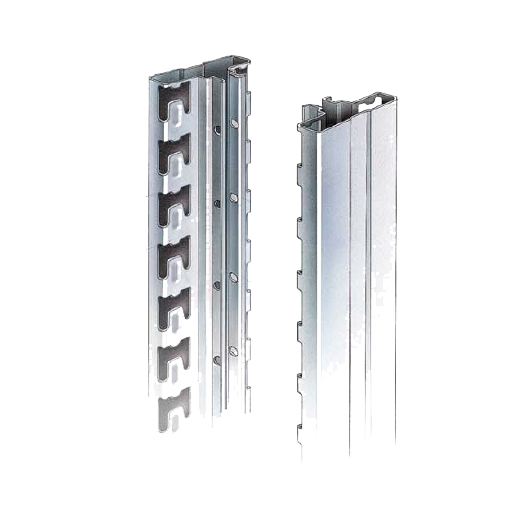 The second, on the side face, has holes set at a pitch of 132mm, used for the connection of the horizontal and diagonal spacer bars. 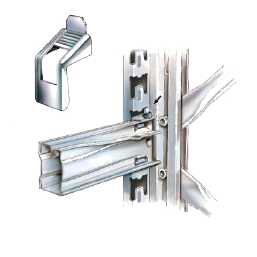 The front face of the beam features a sleek, smooth, attractive finish.